Apple is killing its second attempt at a music-focused social network because nobody wants it. Remember Ping? Back in the days before all-you-can-eat streaming music services, iTunes was king. So Apple built a social media platform into iTunes where artists could promote their work and talk about what’s inspiring them. As for users, they could recommend tracks and albums to each other. But nobody liked it, so Apple shut it down. Six years ago, we published a postmortem of sorts that laid out all the ways in which Ping went wrong. Discoverability was bad, artists didn’t keep up with posting. and it felt more like marketing than genuine social connection. For that matter, discoverability and virality were terrible—the list goes on and on. 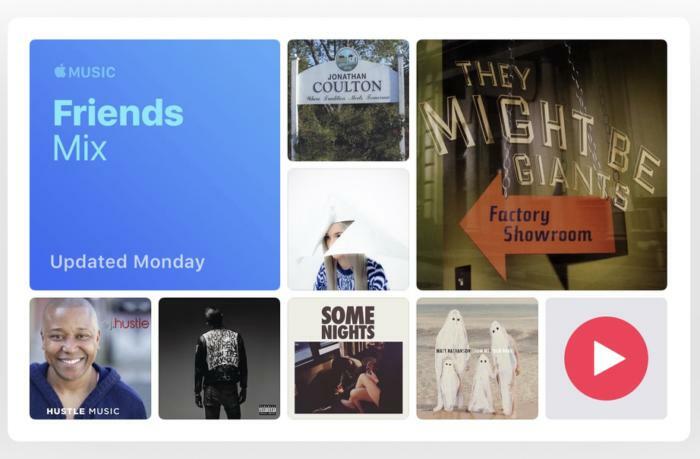 And then when Apple Music launched in 2015—wouldn’t you know it—Apple repeated all the same mistakes with a new social network called Connect. Now, Apple is effectively killing Connect, and we have to say we saw it coming. Right from the start, we suggested that turning off Connect makes Apple Music better—never a good sign. We detailed what Connect needed to succeed: the kind of article you don’t write when something is a great success already. In the years that followed, Apple slowly made Connect less prominent in Apple Music. We tried Ping and the customer voted and said, this isn’t something I want to put a lot of energy into. Some customers love it, but there’s not a huge number that do, so will we kill it? I don’t know. I’ll look at it. Amazingly, the company built a social network within Apple Music that people also don’t want to use, because Apple appears to have learned nothing from Ping’s failures. Music is inherently social for a lot of people. Friends like to listen to music together. They go to concerts in groups. They talk endlessly online about the latest tracks from their favorite artists and gossip about stars’ personal lives. But neither Ping or Connect tapped into this. They were built around the core idea that artists need a place to reach out to their fans—follow Taylor Swift and she’ll tell you what she’s up to! Only there’s absolutely zero incentive for an artist to do that within the confines of a music service, especially one with no free tier. Artists are already on Twitter, Facebook, and Instagram. They prefer to reach out to their fans there, where they can express themselves in a genuine fashion that's not sanitized for Apple’s audience. Those networks are built for people to comment and follow and post pictures and share, share, share. Connect, like Ping, felt like an RSS feed of marketing missives. If an artist posted an update on Connect (which was harder than it needed to be), it was only seen by a tiny fraction of the followers the artist had on Twitter or Instagram. Connect has no virality. Taylor Swift’s fans couldn't do the equivalent of a “retweet” within Apple Music to share her latest missive to all of their friends and followers. Let’s face it, if an artist wants to reach out to fans, there are better ways to do it than a post within Apple Music (or Spotify, or any other single music platform). They’re using Twitter, Facebook, and Instagram to reach fans because those platforms are much larger. They were also made to make sharing faster and easier, and all three are built around commenting and sharing. Social features that help people actually enjoy their music together are what music services need, not a stream of artist “posts” to follow. Apple Music doesn’t need a social network, it needs social features. Friends Mix is a good start, but it could do more to connect you to those friends. Finding and adding friends from other social networks should be a top-level feature, not buried several screens deep. Collaboration should be a priority, such as fast and easy ways to build playlists with friends and then share them with the rest of the world. The interface should give us one-tap posting of tracks, albums, or playlists to Twitter, Facebook, or Instagram, with a top-notch listening experience built right inside those services rather than a basic album art image and links back to Apple Music. Apple is uniquely positioned to bring back the listening party; it could be an extension of Group FaceTime, with music playback synced between devices. That could even be a good way to spread Apple Music subscriptions—anyone could join a FaceTime listening party to listen in and talk, but only Apple Music subscribers could start one, control playback, or suggest next tracks to listen to. In many ways, the Friends Mix weekly playlist has done more to connect Apple Music users than anything else. So why not lean into that? When playing back tracks on that playlist, why not show us the friends from which they came, front and center? Fundamentally, perhaps, the biggest problem with building a social network within Apple Music is that it’s behind a paywall. If the songs and playlists users or artists share can only be seen (or heard) by other subscribers, it’s always going to have limited reach.